wingtip device depends on the specific situation and the airplane model. 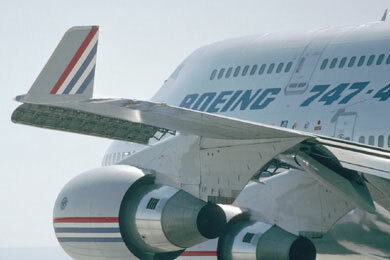 The 747-400 commercial airplane needed a significant span increase to meet the range requirement. However, structural constraints prevented the total span increase, so a combination of winglet and span increase was used. 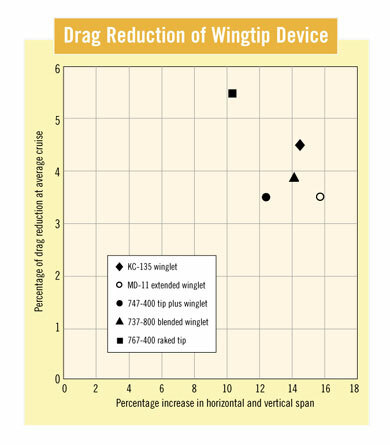 Following a business-case study of the benefits of adding winglets or increasing wingspan, the 767-400 program chose a span increase in the form of a raked tip. 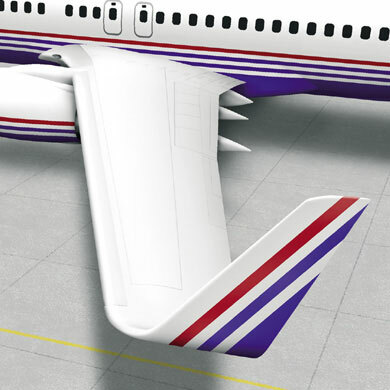 The wingtip device for the BBJ and 737-800 commercial airplane involved a retrofit of existing wings. 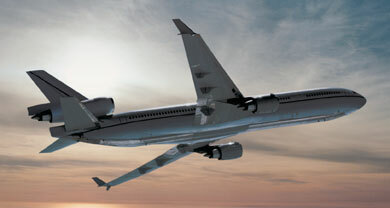 The blended winglet was selected because it required minimal changes to the wing structure and provided improved aesthetic appeal for the BBJ. 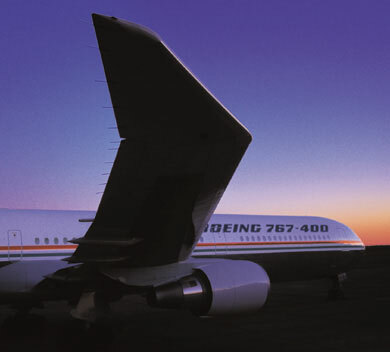 The MD-11 program chose a winglet based on wingspan constraints and minimum structural weight. The U.S. Air Force and the National Aeronautics and Space Administration conducted a winglet development program in 1978 to understand how winglets could improve performance.